Choose from a great range of Leavers Designs. 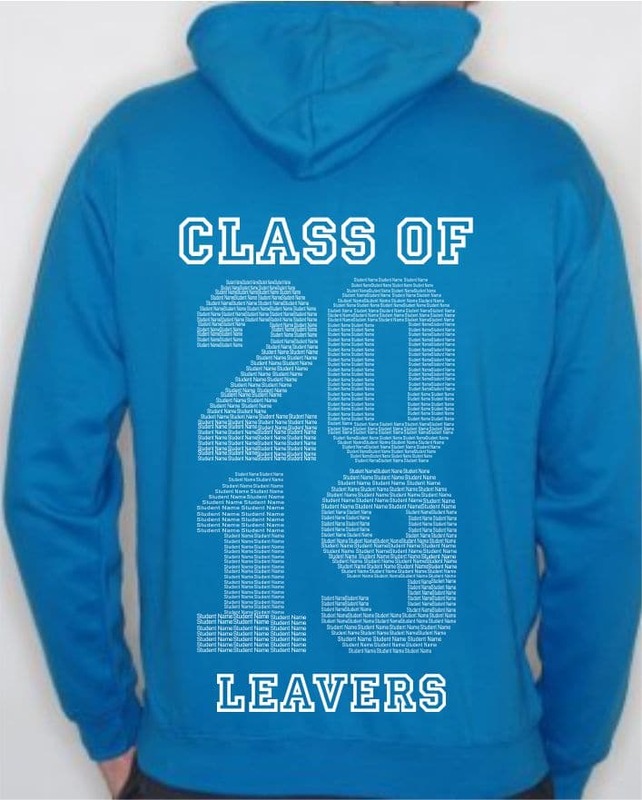 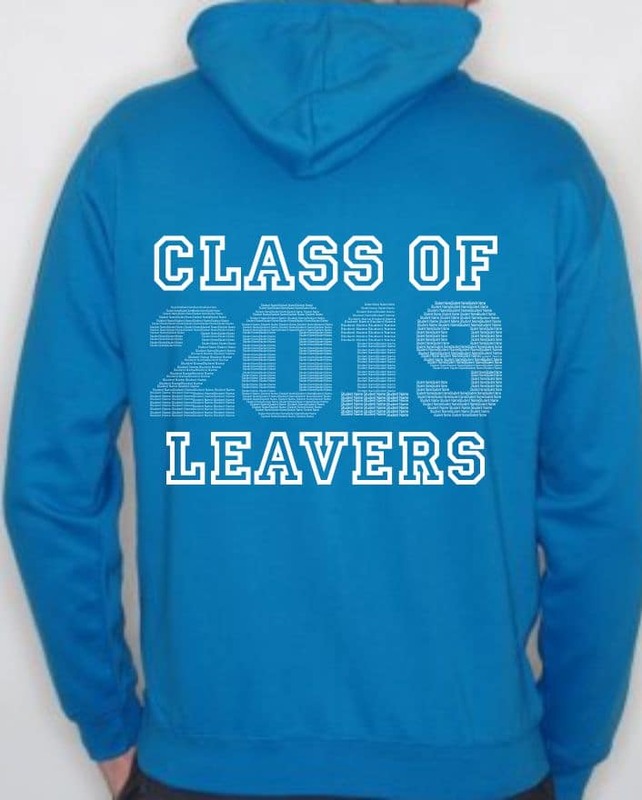 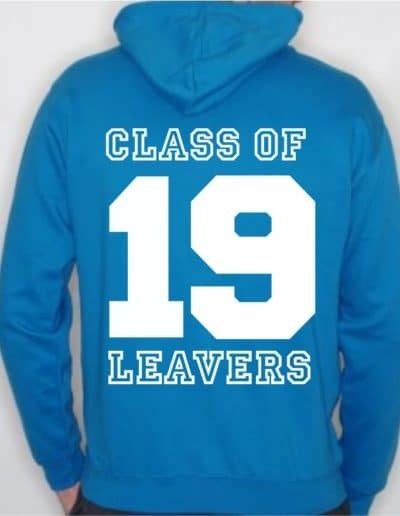 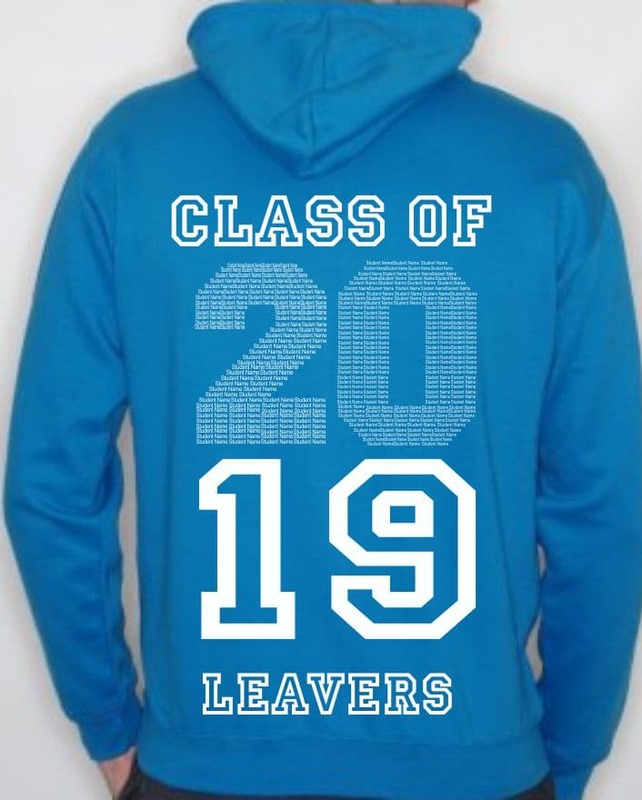 The Leavers design on the back can include all of the class members that are leaving and is a unique way of remembering your school days. if you have your own design that you would prefer to use then let us know. 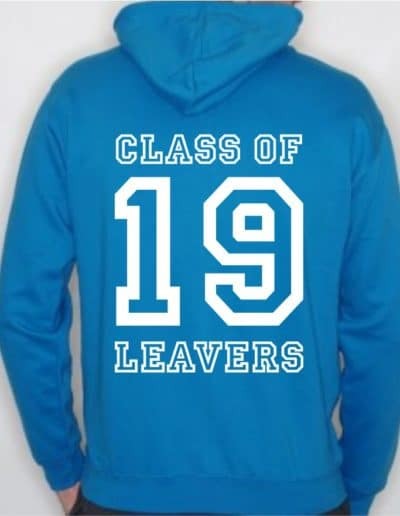 We use black print on light coloured garments and white print on the dark coloured garments. 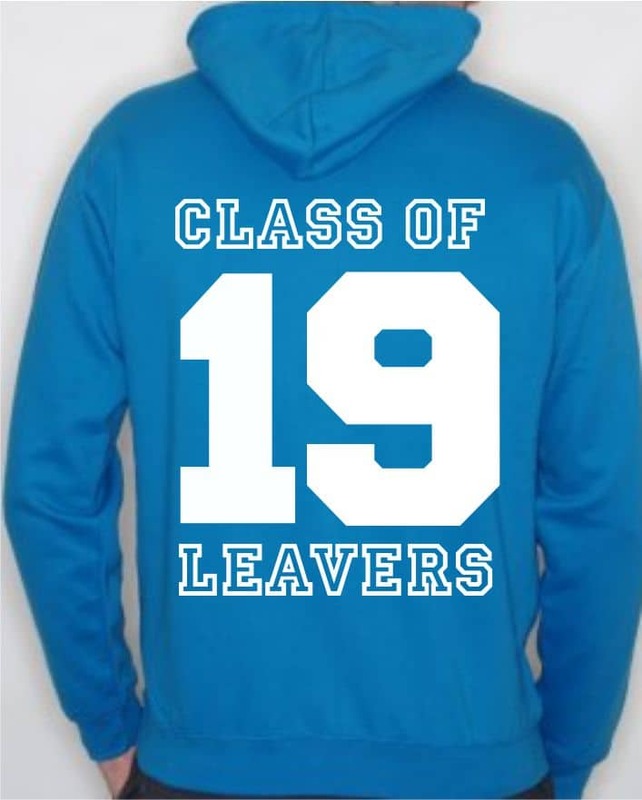 We can print other colours but this need to remain the same colour throughout the order. An alternative to the embroidered crest is to print the name of the school. 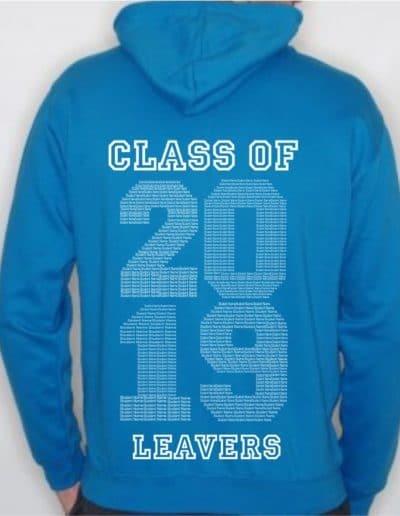 This usually sits on the left chest as worn although if you want something more prominent then a centre chest print certainly does the trick. Personalising your Leavers Hoodie will really make it feel like your own. 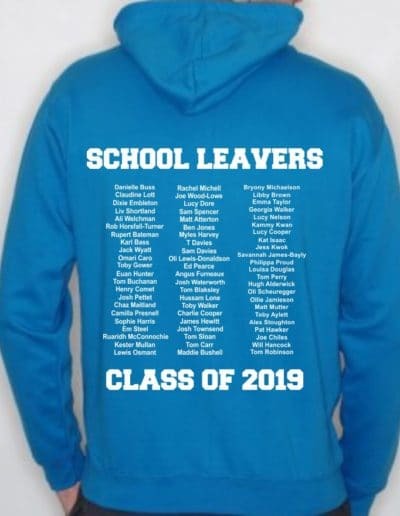 Printing a Nickname either on the back or the sleeve is the most popular option, or alternatively, embroider it on the front on the opposite side of the school crest. 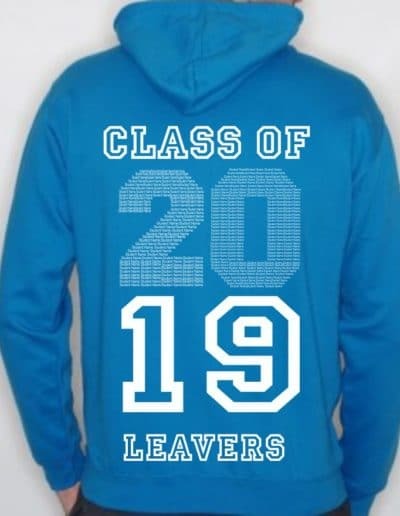 We use IMPACT font to print the name as this is bold and stands out well. 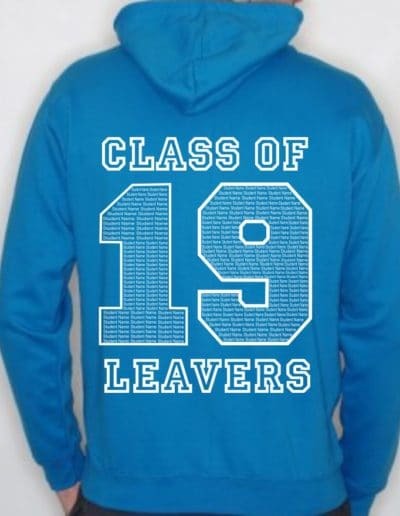 We can use alternative fonts if required, but need to check these first to see that they are suitable to print. Below are just a few examples of what we can offer as a printed name. 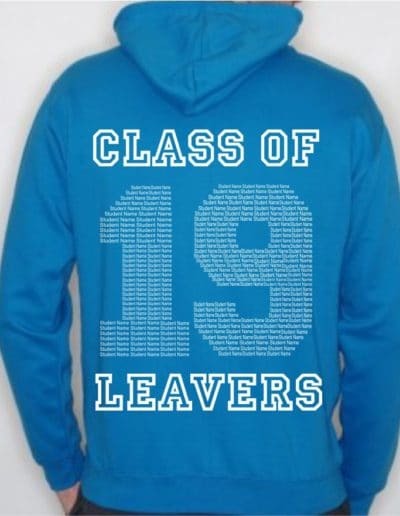 We use TAHOMA for embroidered names but can embroider other fonts upon request.